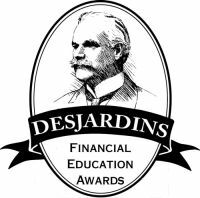 What are the Desjardins Financial Education Awards? CUNA created the Desjardins program to recognize leadership within the credit union movement on behalf of financial literacy for all ages. Naming the award after Alphonse Desjardins emphasizes the movement's long-time commitment to youth. Besides founding the first credit unions in Canada and the U.S., Desjardins pioneered youth savings clubs and in-school "banks," known as caisses scolaires. The recognition program considers all activities supporting the personal finance education of members and non-members, including, but not limited to, face-to-face teaching using proprietary materials and curricula, such as the NEFE High School Financial Planning Program® (HSFPP), as well as financial literacy leadership efforts. Read about previous Desjardins Winners - Adult and Youth here! Alphonse Desjardins was a credit union pioneer who was instrumental in forming the Canadian and U.S. credit union movements. Besides helping to found the first credit unions in Canada and the U.S., Desjardins pioneerd youth savings clubs and in-school "banks," known as caisses scolaires.